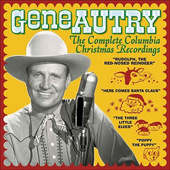 For the very first time, all of Gene Autry's original Columbia Records Christmas songs are available on one CD, digitally remastered for the highest quality and best listening experience. Included are classic Christmas favorites as well as rare, never-before-on CD recordings like &uqot;(Hard Rock, Coco and Joe) The Three Little Dwarfs," "Poppy the Puppy," "Freddie," "The Little Fir Tree," and "An Old Fashioned Tree." Holly George-Warren, the Official Gene Autry Biographer, wrote the liner notes, which feature rare label and sleeve art from the original record releases. 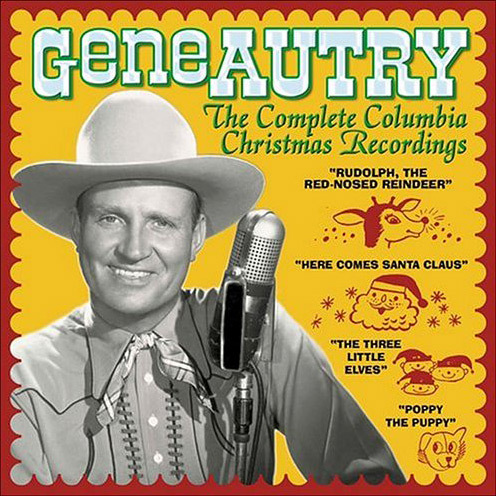 Celebrate the songs of the season with every single one of Gene Autry's original Columbia Records Christmas songs. This CD is a wonderful Christmas gift for every single member of your family. Columbia 37942, Pop #9, Country #5, 1947, and Columbia 20377, Country #4, 1948, #8, 1949, Pop #24, 1950. Columbia 38610, Pop #1, Country #1, 1949, Pop #3, Country #5, 1950; Columbia 39463, Pop #16, 1951; Pop #13, 1952; and Columbia single 33165, AC #30, Country #55, 1998; AC #24, Country #60, 1999. Digital Remastering: by Bob Fisher, Pacific Multimedia Corp.
Compilation produced by Autry Qualified Interest Trust and The Autry Foundation. All Recordings © 2004 Sony BMG Music Entertainment/Originally released 1947, 1949, 1950, 1951, 1952, 1953, 1955, and 1956. All photographs © 2004, Autry Qualified Interest Trust and The Autry Foundation. © 2004 Varèse Sarabande Records, Inc. 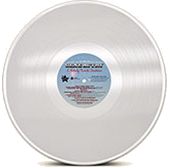 Manufactured by Varèse Sarabande Records, Inc., 11846 Ventura Blvd., Suite 130, Studio City, CA 91604. Distributed by Universal Music and Video Distribution, 10 Universal City Plaza, Universal City, CA 91608. Unauthorized duplication is a violation of applicable laws. Printed in the U.S.A.